Sheyi Ojo believes the nature of his goal against Tranmere Rovers last night will have particularly pleased Liverpool boss Jürgen Klopp. Having already provided an assist for Rafael Camacho's opener, the winger doubled the Reds' lead in the first half as he fought off a defender to keep the ball in play on the right-hand touchline before cutting inside and finishing well. 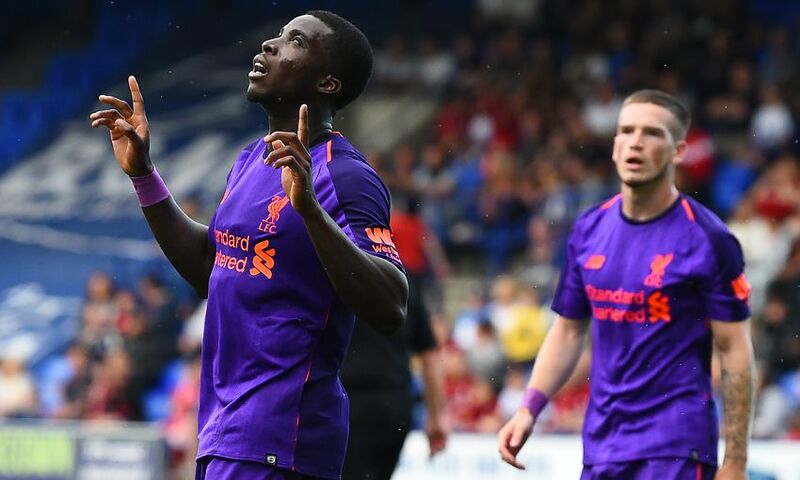 And, speaking after Klopp's men had claimed a 3-2 pre-season friendly win, Ojo highlighted the fight he showed to score as the sort of thing his manager is always looking for. He told Liverpoolfc.com: "I was on the right wing and the manager always talks about being aggressive, being direct. "It was a good one-v-one opportunity and I was trying to get some space and managed to get the shot off and score the goal. "Every time I'm on the pitch I just want to play free and attack as much as I can and hopefully score and assist. "I managed to do that today and it was really good but I think the most important thing is to just keep improving and that's what I'll look to do in the next couple of games." Ojo enjoyed a successful season-long loan stint at Fulham last term, scoring four goals in 24 appearances as the London club were promoted to the Premier League via the play-offs. But, while he enjoyed his spell at Craven Cottage, the 21-year-old says he was soon itching to get back to Melwood in order to impress Klopp. He added: "From as soon as I finished my loan spell at Fulham - obviously, it was a good loan spell - I was just focused on coming back and trying to be as sharp as I can so I can impress the manager. "I'm feeling really fit and really positive and the games are going well so far so I'm excited for what's to come. "Personally, I haven't spoke to the manager yet but it's been positive feedback in training so far and I'm just really looking forward to the rest of the pre-season. "Hopefully I can keep impressing." © Copyright 2019 The Liverpool Football Club and Athletic Grounds Limited. All rights reserved. Match Statistics supplied by Opta Sports Data Limited. Reproduced under licence from Football DataCo Limited. All rights reserved.